Four years with diplomatic status in Japan. My tasks was to assist Danish companies within consumer goods (mainly furniture) and building materials, in entering the Japanese market, solving problems, get information or any other task that they needed assistance with. - I had a number of successful introduction of Danish companies to Japanese importers or partner companies. Import and marketing of a Danish water free urinal. I had the sole rights for the Japanese market and startet a collaboration with a Japanese company that I gave the right for Japan. 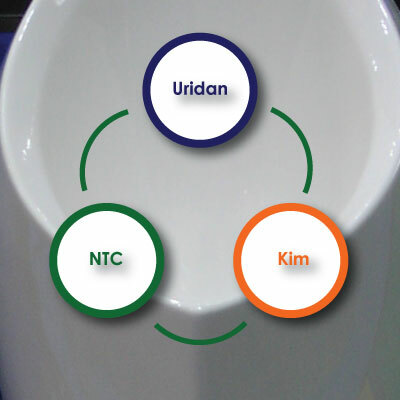 - We managed to sell the urinals to most of the top level Japanese companies within building industry (general constructors), car manufacturer, restaurant chains (McDonalds, Skylark etc), department stores (Mitsukoshi, Takashimaya etc), Universities, schools, highways, railways, architects, municipalities, stadiums and much more... All this within only ONE YEAR! Own company importing and marketing foldable exhibition equipment from Denmark. Some consultancy business were done as well. - elaboration of a marketing report regarding a company who wanted to export Japanese sake to Europe (in Japanese). Report were a NO GO but the Japanese company chose to follow my recommendation because of its detailed research and logic understandable conclusions. Own company in Denmark. Japan related consultancy and import / export / marketing tasks. - other tasks related to sale of Japanese gardens like handling of VISA application for gardeneres, accomodations, rental of equipment, contact to lawyers, contract elaboration, contact to customers etc. - establishing own web pages, google adwords campaigns, SEO etc. Hired temporarily as marketing coordinator under a Japanese leader of the office. Coordinator on a major JETRO project in Denmark, promoting Japanese furniture manufacturer, furniture and design related organisations to Denmark and Danish furniture and organisations to Japan. The project was started up by JETRO and had been running for around 2 years when I was hired as coordinator. After six months, I suggested to close down the whole project because of a completely wrong approach which might result in serious consequenses for both the Japanese and Danish side. I recommended to startup another project, only focusing on companies that were interested in export. Further I also suggested to remove focus from Denmark and think of Europe in stead. During the past many years, I have done consulting for a countless number of companies in as much countless number of branches and products. Food, furniture, interior, medical equipment, toys, clothes, technical products, patents and much more. If you need further information please contact me. All the cunsoltancy tasks have one thing in common - "Japan". Until April 2017, I worked as business consultant for Starzen Europe, one of Japans leading companies (Starzen Europe is a daughter company of Strazen International which is a daughter company of Starzen Co Ltd. that is one of the leading companies within the Japanese meat industry) within the meat industry. Starzen Europe is handling all export from Europe to Japan for the Starzen Group. My job for Starzen Europe ranges from locating new business partners and suppliers around Eruope, gathering market intelligence, handling practical issues like transport documents, invoices etc, upgrading the office from an oldstyle paper based office to a movable IT based office, including developing of an Access database handling all documents and numbers. Especially the first couple of 2014 presented huge challenges with issues related to ASF outbreak in Poland and Russias import ban of European pork, which has resulted in huge day to day change in the market. Other challenges is to locate and assist new suppliers to the Japanese market, inspect the production and try to make the suppliers understand and keep to the extremely strickt Japanese market demand to the products, specifications, documentations and not the least the way of tackling complaints and special requests from Japan.